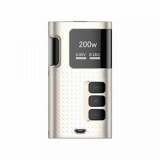 Kangertech Ripple 200W Mod, a compact mod with elegant appearance. Powered by dual 18650 batteries, it can fire up tp 200W max output. It features unique custom modes includes Beginner/Intermediate/Expert, which can satisfy different customers' need. 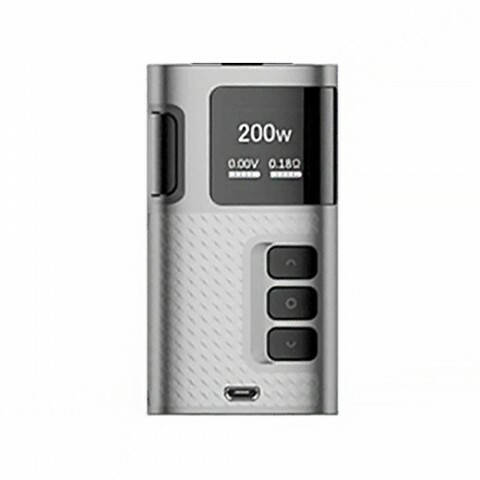 Kangertech Ripple 200W Mod, a compact mod with elegant appearance. Powered by dual 18650 batteries, it can fire up tp 200W max output. It features unique custom modes includes Beginner/Intermediate/Expert, which can satisfy different customers' need. What's more, it can support multiple protections which will bring you a safe vaping environment. Perfectly suit Ripple Tank 3.5ml. Get this powerful Mod! Kangertech Ripple Mod features unique custom modes includes Beginner/Intermediate/Expert, give me different test. Easy to operate, my favorite mod. 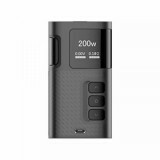 Work with the 18650 battery, buybest has many quality kits. BuyBest makes my vaping life easier. My husband like this mod very much, up to 200W max output! Fast delivery and free shipping! Small mod, I always put it in my pocket! Kangertech Ripple Mod offers me best flavor, fast delivery, and best customer service! Multiple protection, maybe it's the best mod for a starter! I'll buy one for my brother.